We're ready for camp, are you?! 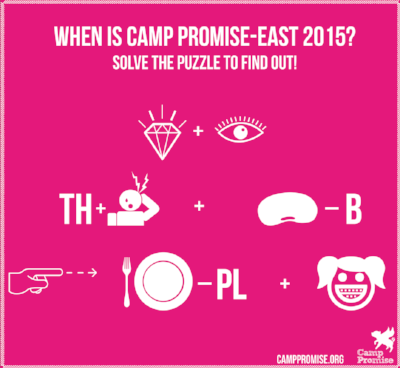 Start packing your bags because we're here to tell you the dates for Camp Promise 2015! We posted riddles on Facebook last month to give you all a clue, and within 24 hours they'd been solved. 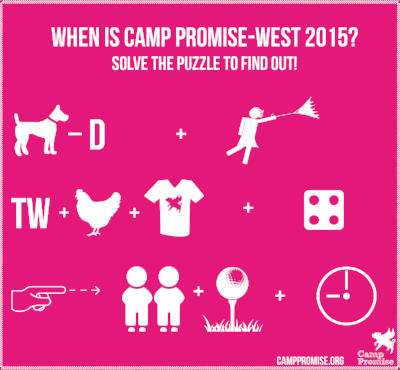 Way to go, campers and volunteers! Applications will be available online mid-March at our website.